Goodreads Summary: The year is 2009. Nineteen-year-old Jackson Meyer is a normal guy...he’s in college, has a girlfriend...and he can travel back through time. But it’s not like the movies – nothing changes in the present after his jumps, there’s no space-time continuum issues or broken flux capacitors – it’s just harmless fun. That is...until the day strangers burst in on Jackson and his girlfriend, Holly, and during a struggle with Jackson, Holly is fatally shot. In his panic, Jackson jumps back two years to 2007, but this is not like his previous time jumps. Now he’s stuck in 2007 and can’t get back to the future. But it’s not long before the people who shot Holly in 2009 come looking for Jackson in the past, and these “Enemies of Time” will stop at nothing to recruit this powerful young time-traveler. Recruit...or kill him. Piecing together the clues about his father, the Enemies of Time, and himself, Jackson must decide how far he’s willing to go to save Holly...and possibly the entire world. “Are you okay? You look really...pale.” Holly’s voice, like it was coming from a distance. Both of their faces spun in front of me and then I just closed my eyes and fell into nothing. Does that teaser have you hooked? It should! I have to admit that I'm always a little hesitant to read sci-fi books. I had generally steered clear of them until I read Ender's Game, and that opened the door, showing me that the story of sci-fi books can be so good that you forget there's any science involved while you're reading. Tempest fits into this same category. Jackson Meyer is just like any other college guy...except he can travel through time. He's never been able to go to the future, and even his jumps to the past aren't that exciting - just a few days back, and nothing is different when he returns. Then he makes the jump that changes everything. After watching his girlfriend, Holly, get shot, he makes his biggest jump yet: back to 2007. And no matter what he does, he can't seem to get back to 2009. However, while he's in 2007 and making other jumps, he stumbles onto some surprising news - his life and he himself aren't what he always believed. Things far stranger and much larger than just his ability to travel through time begin to come to light, and Jackson must figure out how to protect himself and those he loves. But can he do it in time? With time travel, mystery, and a sweet romance, Tempest delivers one non-stop ride. Even though the book started out slowly, once Jackson started unraveling the mystery of who and what he was, the action picked up and almost raced to the end. I really appreciated the new spin on time travel in this book and the fact that everything involved the past (and not the distant past) rather than the future. I also enjoyed Jackson's point of view and the direct style of writing. It really brought things to life in both the past and the present scenes. As for the characters, in addition to Jackson, I especially enjoyed Adam. His ability to think outside the box was definitely refreshing. I am also very curious about Emily and will look forward to seeing more of her in the future. I will say that at times this book was a bit confusing. Even though the time jumps were laid out quite well, occasionally I had to reread a bit to make sure all of my facts were straight. In addition, I found it slightly difficult to relate to Holly. But as with the other characters, I am eager to see what the next book will bring for her. If science fiction isn't for you, don't let that stop you from reading Tempest, because there is so much more than time travel in this book. 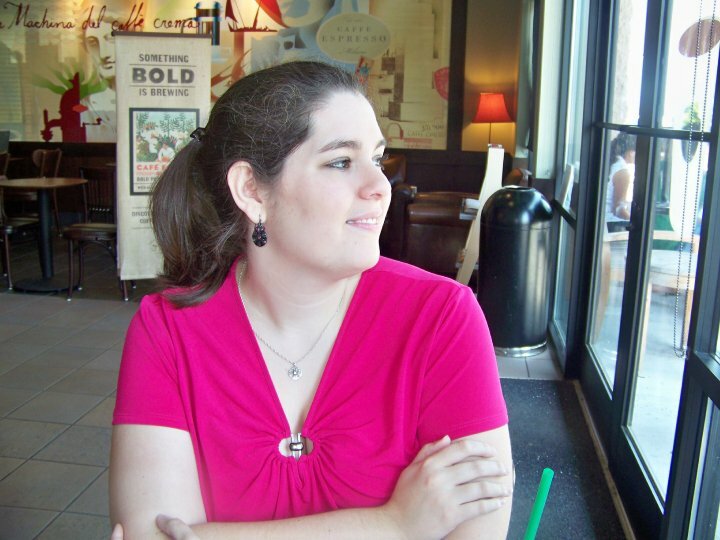 Julie Cross has created a fascinating story in her debut novel, and I can't wait to read more! There are five signed, finished copies of TEMPEST being given away as part of this tour! You can enter to win on each blog for up to 15 chances of winning. To enter, fill out the form here. This book has been on my to-read list for a while because I really like time travel books. I will definitely be checking it out soon. Thanks for the giveaway and Tour Twin!! I have heard good things about this book. It is on my wishlist. Thanks for the giveaway. thanks for this giveaway Christin!! this book sounds fabulous!! Thanks for the giveaway! I've had an eye on this book for a while..
Science fiction is definitely for me, so I'm really looking forward to this!! I adore piecing things together. plus the cover is beautiful! Thanks for the post! 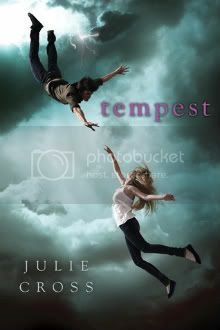 I am really eager to read Tempest! It sounds like a very good read! I have to admit that I wasn't interested in this book until I started reading reviews. Something about the cover turned me off. So thanks for the review because now I want to read it. I've been interested in reading this book for a while now! I am so undecided on this book. So much so that I think I will have to run into it at the library or pick it up in a giveaway. At least for now. I just love the cover. Thanks for the amazing giveaway!! I love books with a touch of time travel, and am drooling to read Tempest - plus the cover is wicked awesome!! I'm very excited for this book, it looks so good! It was Ender's game that got me reading sci-fi as well... Although sci-fi and fantasy seem to be more entwined these days and I have been a fan of Tolkien since elementary school days. The Time Traveler's Wife was a little confusing at times too, but in the end, well worth it and this story sounds like it is too. Thanks so much for the excerpt...I'm a little iffy on sci-fi too but I have been reading so much about this book and it sounds awesome! Great review, Thanks for being a part of the tour! Have a great week and I hope your New Year is off to a good start! Jackson was a great character and I'm so happy that Tempest was in his POV. It is so much fun reading through a guy because well there guys lol. Jackson is definitely no different he is a normal 19 year old. I especially love the fact that he is rich but he never rubs that in to anybody. He is just so real, minus the time travel part. The scenes with Jackson and Courtney, I was crying like everytime they were just so beautifully written. Jackson goes through so much but also comes away with a lot of knowledge and power it was amazing watching Jackson grow. The ending was a wow factor and I definitely need to read what happens next but sadly I have a much longer wait then some but it's worth it. Tempest is an amazing story and a great first book for a trilogy that will be equally amazing. I have heard really good things about this book and I am glad that it is meeting up to all the hype. I'm looking forward to reading it! Thank you very much great blog tour! I loved reading Tempest and posted a view back in Oct., but would LOVE a signed copy sooooo very much! I also loved Orson Scott Card's Ender's Game and have read it at least a dozen times. It was recommended to me multiple times before I finally broke down and actually read it. I have also gotten more 'into' sci-fi/fantasy since I read Ender's Game. This book sounds like it'll be great--I love time travel and sci-fi.